Today I presented at the Chattanooga Area Weston A. Price Foundation Chapter Meeting on Fermentation. I figured I would take a minute to post the outline from my presentation. It is from the book Wild Fermentation by Sandor Katz. He is the leading guru in the world of fermentation. His book is a wild adventure through the world of growing probiotics at home. It includes detailed recipes, colorful stories, and a wealth of knowledge on the subject of fermentation. b. These are all bio-preservatives that retain nutrients and prevent spoilage. c. Captain James Cook (the 18th century English explorer) was recognized by the Royal Society for conquering scurvy among his crew by sailing with large amounts of sauerkraut. II. Fermentation breaks down nutrients into more easily digestible forms. a. Soy-a protein-rich food is largely indigestible. Through fermentation are broken down into readily digestible amino acids. These are all found in traditional Asian foods-miso, tempeh, and tamari. b. Milk is also very difficult for many people to digest. Lactobacilli transforms lactose into easy to digest lactic acid. c. Wheat and other grains that have been fermented are also easier to digest. III. Fermentation creates new nutrients. a. Microbial cultures create B vitamins including: folic acid, riboflavin, niacin, thiamin, and biotin. b. Some ferments have been shown to function as antioxidants, scavenging free radicals from cells of the body. c. Lactobacilli create omega-3 fatty acids, essential for cell membrane and immune system functions. d. Some even claim cultured foods contain: superoxide dismustase, GTF chromium, detoxifying compounds like glutathione, phospholipids, digestive enzymes, and beta 1,3 glucans. IV. 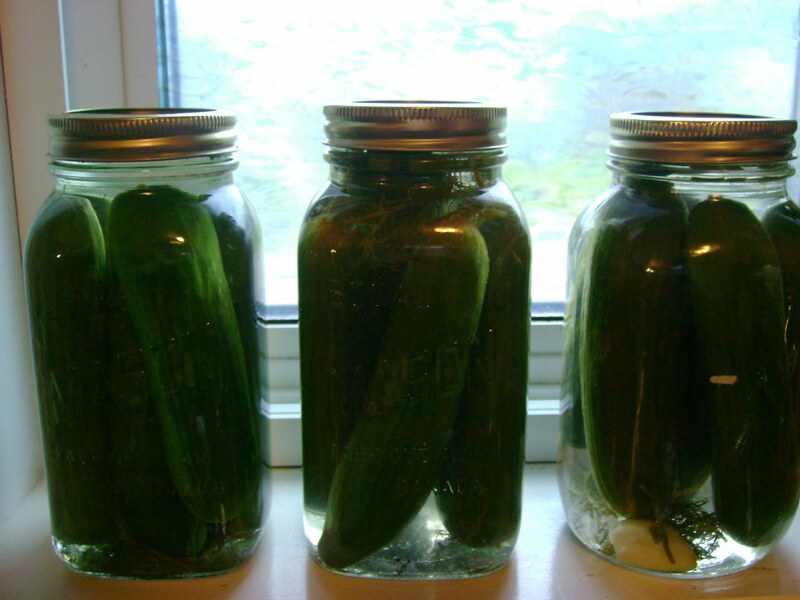 Fermentation removes toxins from foods. a. Cassava- a tropical tuber is actually poisonous before fermentation. Fermentation removes high levels of cyanide from the plant and makes it edible and nutritious. b. Fermenting or soaking grains neutralizes the phytic acid (which can block absorption of zinc, calcium, iron, magnesium, and other minerals). c. If present, fermentation can remove nitrites, prussic acid, oxalic acid, nitrosamines, and glucosides which are all toxic chemicals found in foods. I. Eating fermented foods live is an incredible healthy practice. a. You directly supply your digestive tract with living cultures essential for breaking down food. b. You protect yourself from digestive diseases, many are prevalent today. c. Lactobacillus fermentation (milk ferments) will inhibit the growth of Shigella, Salmonella, and E.coli. b. Sauerkraut has been heat processed to the point of killing any micronutrients that were present at the time of fermentation. c. Even miso, in powdered form is a dead food. III. If you want live-culture fermented foods in our food-security obsessed, instant-gratification age, you have to seek them out or make them yourself. a. NourishingTraditions has many fermented food recipes: including soaking grains, dairy ferments, beverages, veggies and sourdough. b. 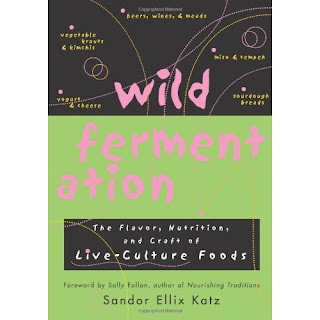 Wild Fermentation gives a lot of information on the cultural establishment of cultured foods and offers funny stories, easy-to-follow directions, and some drawings. I was very excited and honored to speak to this group of people who are willing to challenge the status quo beliefs on nutrition. If you haven't already, check out your local chapter!